Product prices and availability are accurate as of 2019-04-17 13:50:21 EDT and are subject to change. Any price and availability information displayed on http://www.amazon.com/ at the time of purchase will apply to the purchase of this product. 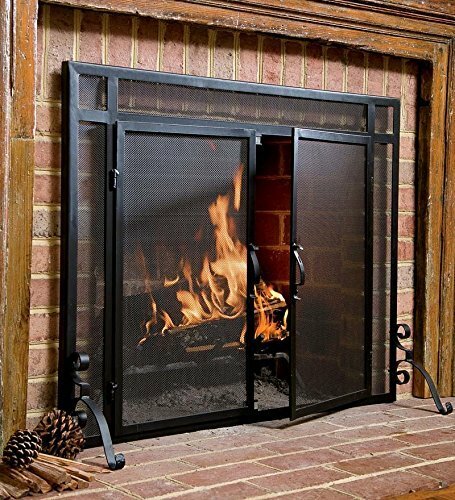 Plow & Hearth Exclusive - The Plow & Hearth Flat Guard continues to be one of the best-value fire screen available today. 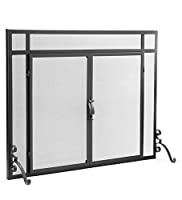 Handcrafted of solid steel - not hollow tubes - these durable screen reflects the quality inherent in traditional blacksmith workmanship. 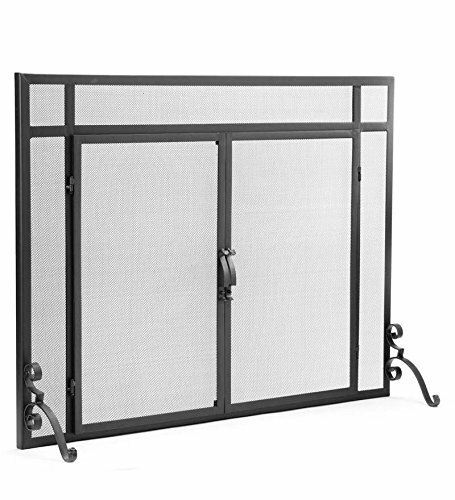 Heavy-duty mesh screen are fully welded to the frame; legs and handles are hand hammered with great attention to detail. Standard Flat Guards fit snugly against your fireplace to keep embers and sparks where they belong. Back feet adjust for uneven surfaces. Size: Small 39''W x 31''H. Specify Color.